The Project team has meet for the first time with Acanthus Clews’ David Spragg and Henry Sander. 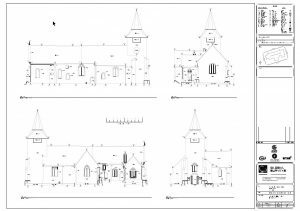 The purpose of the meeting was to establish a working relationship; discuss any progress since the appointment of Acanthus Clews as the Conservation Architects for Project St Mary’s; and to determine the next steps. The meeting was held in St. Mary’s church, Aldermaston on 7th March 2018. Conservation reports on the Forster Tomb and Plaster Plaque by Cliveden Conservation were shared. 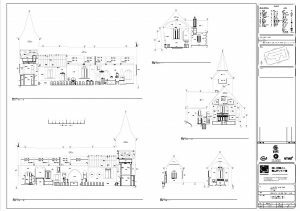 The diagrams produced as the results of the Building Survey by Global Surveys were shared. These diagrams detail all the dimensions of the building and the placement of permanent objects e.g. pulpit, pews. They will form a key part of any core documentation given to other contractors and will be constantly referred to when making any decision regarding the fabric of the church. 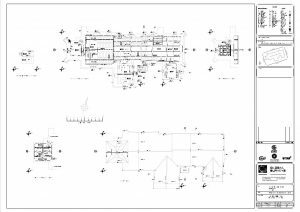 When these diagrams are combined with the 2014 Topographical Survey we have a complete measurement of the building and site. Project team to revisit the needs and requirements for a new space and improved facilities on site. This document to be ready by Easter and will be the input for a Feasibility Study by Acanthus Clews. Feasibility Study by Acanthus Clews. This study will result in a series of options which will be put forward to all those that are interested for discussion leading to the selection of a preferred solution. The study will take approximately 6 weeks and by ready in mid May 2018.